Fortunately, though, trends have been changing in the last few years and as Fisher Price told SpanglishBaby–at least on their part–they will continue to design and develop bilingual toys in the future. 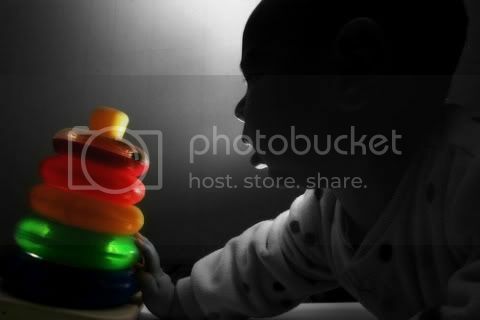 And, now, for the list…Please keep in mind that we haven’t had a chance to “play” with any of these toys our selves. Basically, we just wanted to let you know about the new bilingual toys to be on the lookout for in the upcoming months. If you have a daughter, I’m sure you’re familiar with Fisher Price’s “Little Mommy” line of dolls. 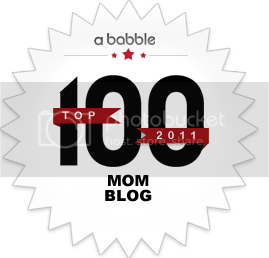 They’re great for role-playing–little girls pretend to be mommies taking care of their babies. The newest addition to this line is The Baby Ah-choo doll whose eyes close when she makes sneezing sounds. 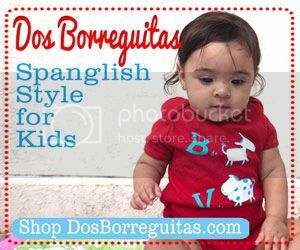 The bilingual version of the doll alternates the phrases it says between English and Spanish. These include: “Mami, ayúdame a sonarme la nariz” and “Estoy congestionada”. My daughter, Vanessa, would probably like her–since she’s incredibly nurturing and it wouldn’t hurt for her to pick up additional vocabulary for when she has a cold herself. The Baby Ah-choo doll will be available in the Summer for a retail prices of $34.99. Recommended age: 2+. Mattel has a couple of toys that sound worth checking out. The first one is Dance with Me Dora. 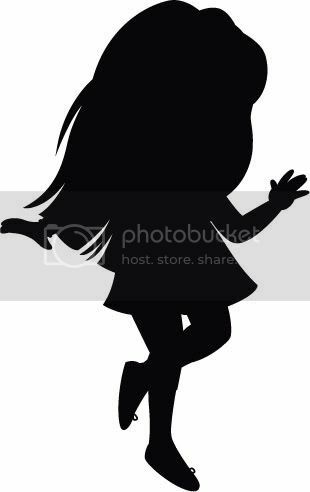 The interactive doll–inspired by the upcoming TV movie “Dora Saves the Crystal Kingdom” which will be out in the Fall–dances on her own or invites little girls to dance with her to, what I’m told will be, “tropical” rhythms. Dance with me Dora will be available in the Summer for a retail price of $49.99. Recommended age: 3+. The next toy is Diego’s Extreme Launch & Rescue Pack. If you’ve seen the TV show, you know this is where all of Diego’s tools go so he can be ready for his next rescue mission! It comes with binoculars, a walkie-talkie and three rescue flares. The toy features a lot of sound effects and bilingual phrases. The Extreme Launch & Rescue Pack will be available in the Fall for a retail price of $44.99. Recommended age: 3+. For the older kids, Mattel has also unveiled a new more grownup Dora. Its official name has not been reveled yet, but they industry is referring to her as the “tweenage” Dora. This new doll promises to be a completely new playing experience for kids. Not only because of its appeal to older children, but because they will actually be able to connect the doll to the computer linking it with an interactive website! I’m dying to see this one, mostly because I’m curious to see what she looks like! The “tweenage” Dora will be available in the Fall for a retail price of $59.99. Recommended age: 5+. Putumayo Kids latests CD/DVD is titled Sesame Street Playground and even though it includes only one song in Spanish (and another one is Portuguese), I figured I would list it because as they describe it, the CD/DVD is “A lively musical journey through Sesame Street productions around the world.” And, since we’re trying to promote the importance of our children learning about other cultures, why not? Sesame Street Playground CD/DVD is available now for a retail price of $14.98. Recommended ages: all. A company called Handstand Kids has a series of children cookbooks including one of Mexican recipes. According to their website, these “books are the perfect recipe for kids to learn how to cook, while discovering the people, places and languages of a new country.” So this is another opportunity to bring up culture and traditions. I can’t wait until Vanessa is old enough to start cooking with me! The Handstand Cookbook series is available now for a retail price of $28. I will be on the lookout for these toys when they become available. I just want to see what they’re really all about. In the meantime, I’m heading over to Putumayo Kids website to purchase their CD/DVD–I think Vanessa will love it since she is so into music. If you end up buying any of these toys in the coming months, we’d love to hear your comments! 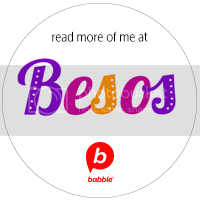 If you like what we´re talking about and want to stay up-to-date with SpanglishBaby, subscribe by email or RSS. You´ll like it. My youngest son (3 years old) got the Sesame Street Putumayo as a gift at Christmas, and he loves it. 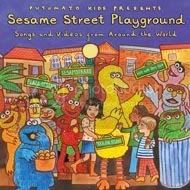 Putumayo’s cds are always fun to listen to and sing along with, and it’s especially fun to hear some of my favorite Sesame Street songs from when I was a kid sung in another language. The DVD has videos for 5 of the songs. Sweet stuff! Will be sure to come back again. Love the theme! I i just want to leave a quick comment to mention your website was awesome. I found it on google search after experiencing a great deal of other information which was not really related. I think I would discover this much earlier considering how great the information is. We have a question concerning the post, where am i able to contact the writer?